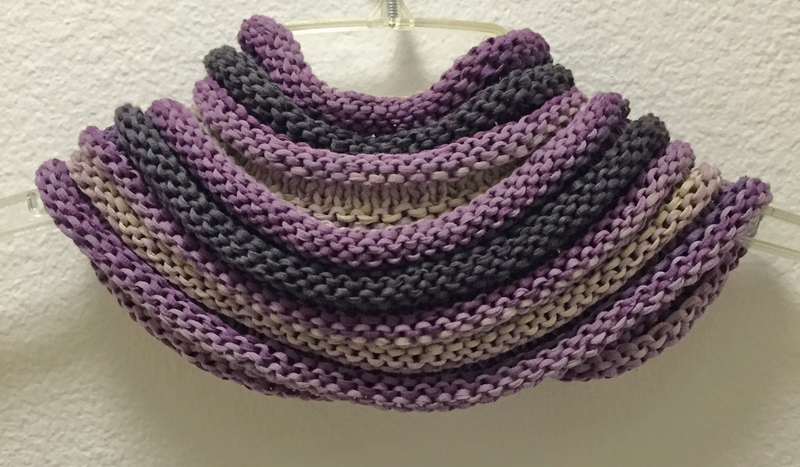 Got a few more cowls done….. 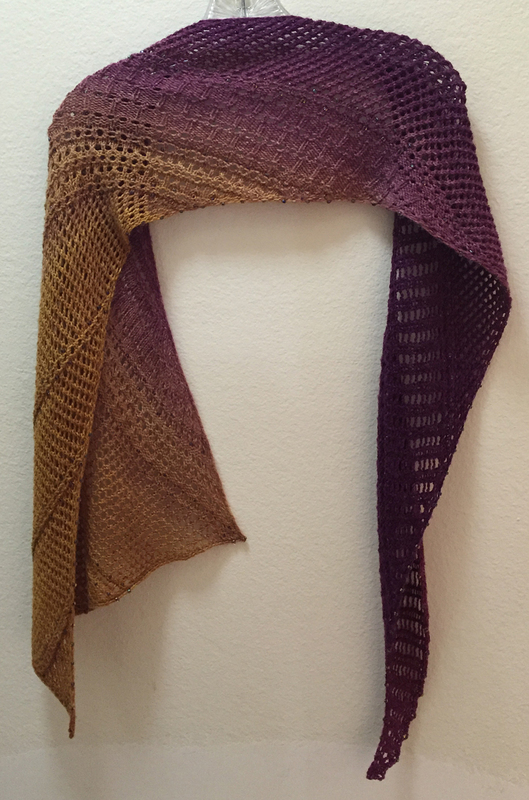 Both out of Lang Sol DeGrade cotton ribbon yarn. Another Mindy Ross design. Love the airy look to this one. 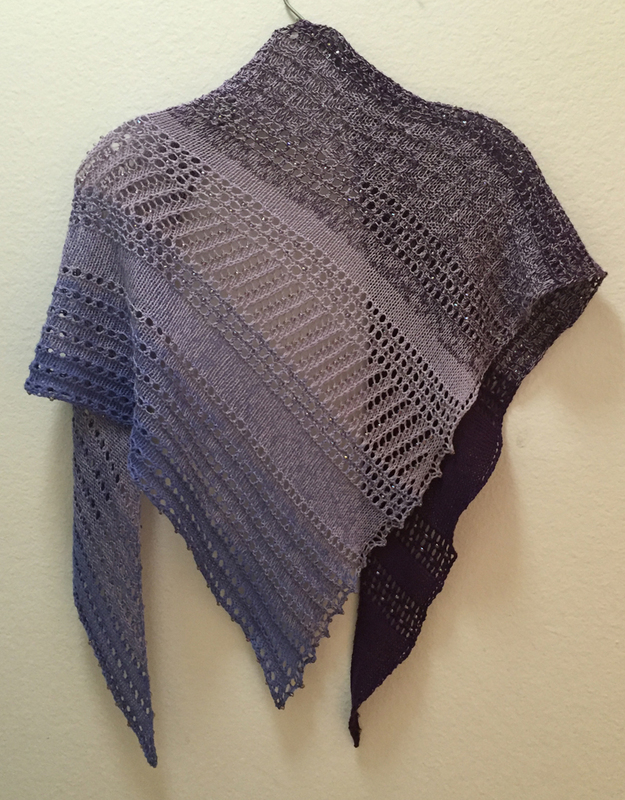 An oldie but goodie pattern – Fan and Feather. 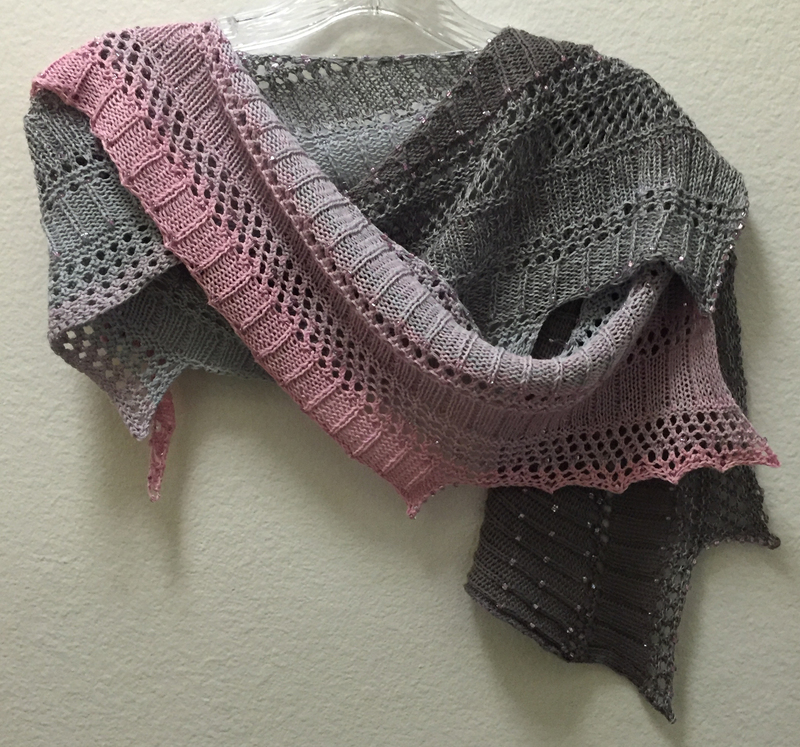 Used Rowan Kidsilk Haze yarn. It’s so light and airy and soft. Another Buffy The Cold Weather Slayer Cowl. 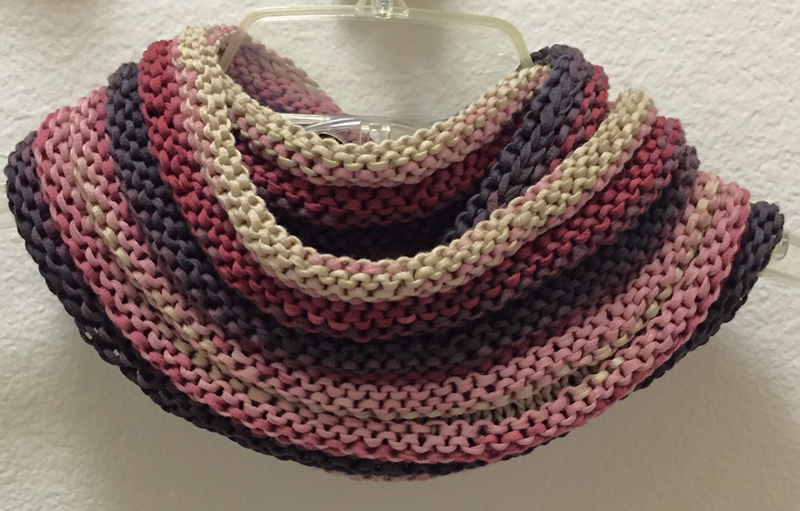 I love the first one I made, so warm and can be used as a cowl, hat, or balaclava. 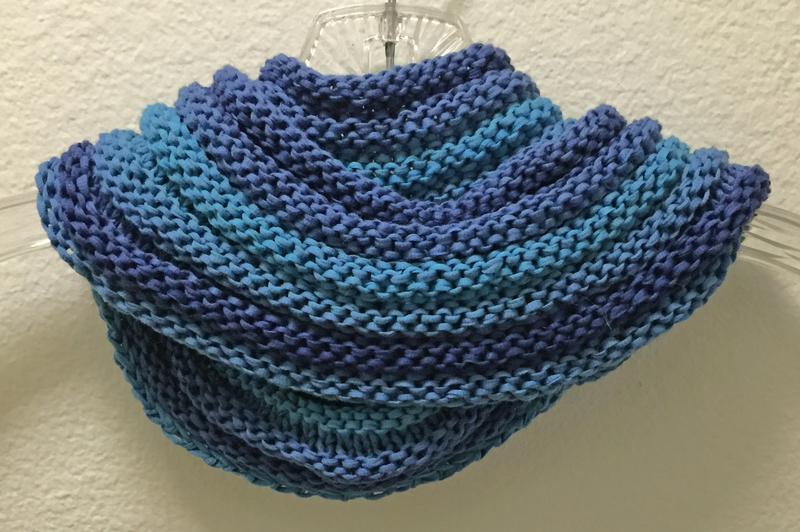 Another circular cowl. This one much longer. It’s wrapped twice in the picture. 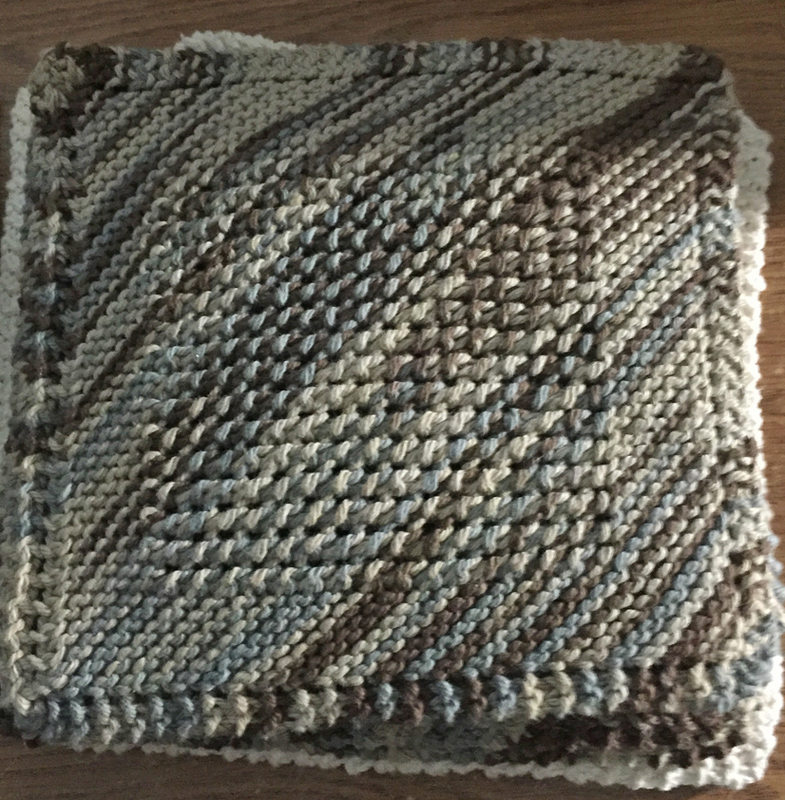 Extremely quick knit with big cotton yarn. 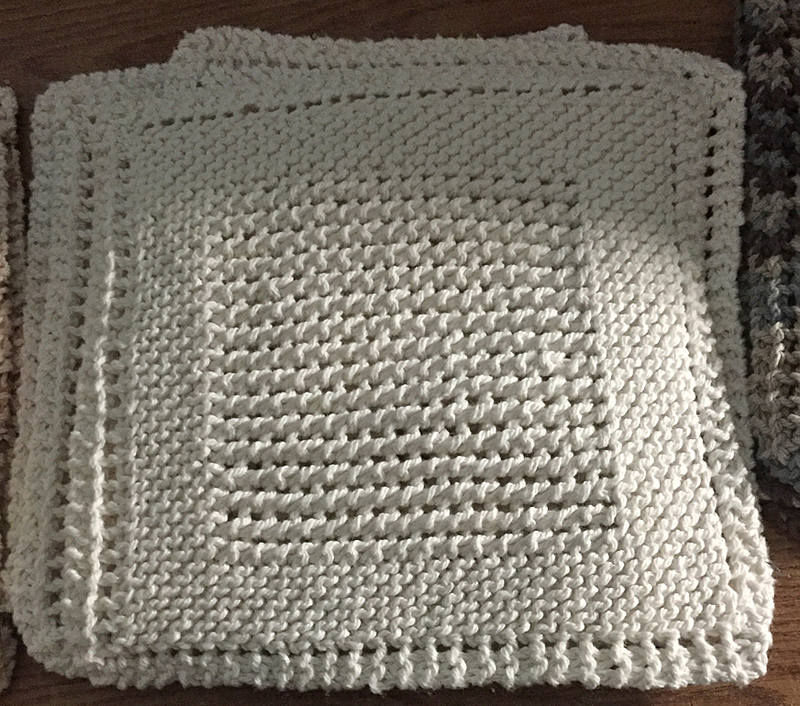 Been working on several knits…..
Yep, another Mindy Ross pattern. Just love her patterns. So easy to follow and a bunch of fun. 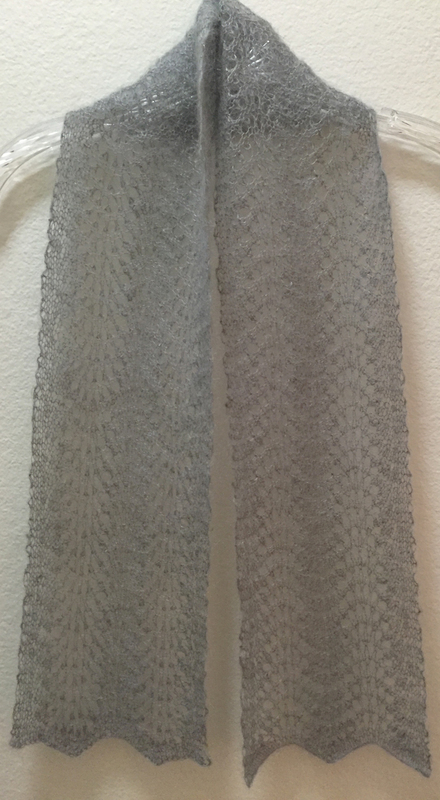 Another scarf – Early Morning Rain by Mindy Ross. I love this one. Keeping it for myself. It’s all mine. 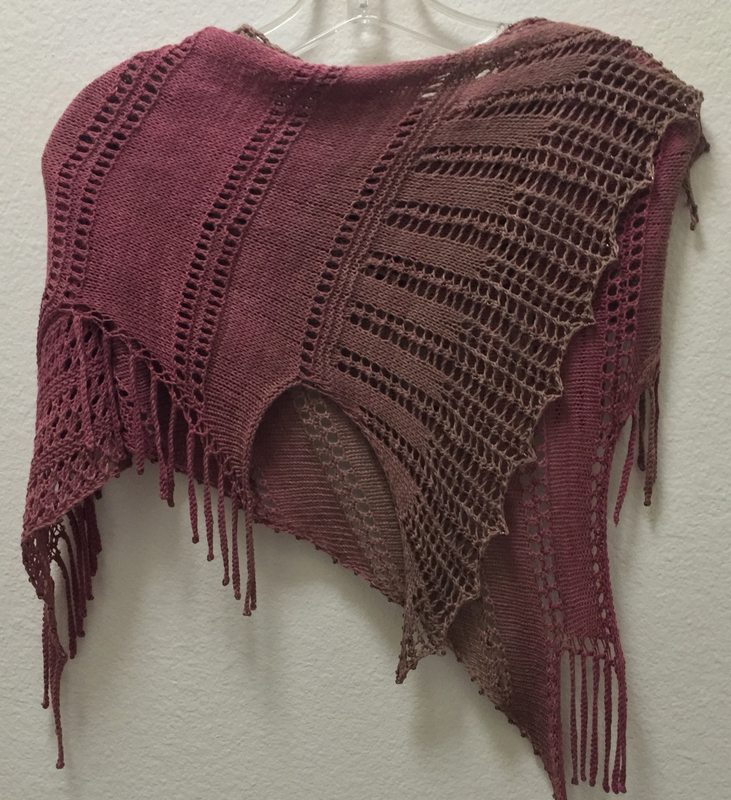 This is the third Giggle With A Jiggle shawl by Mindy Ross I’ve knitted. 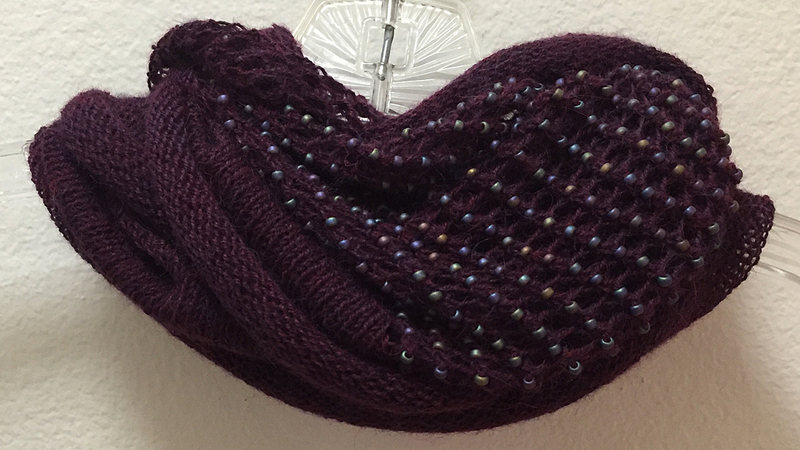 A really fun pattern to knit. 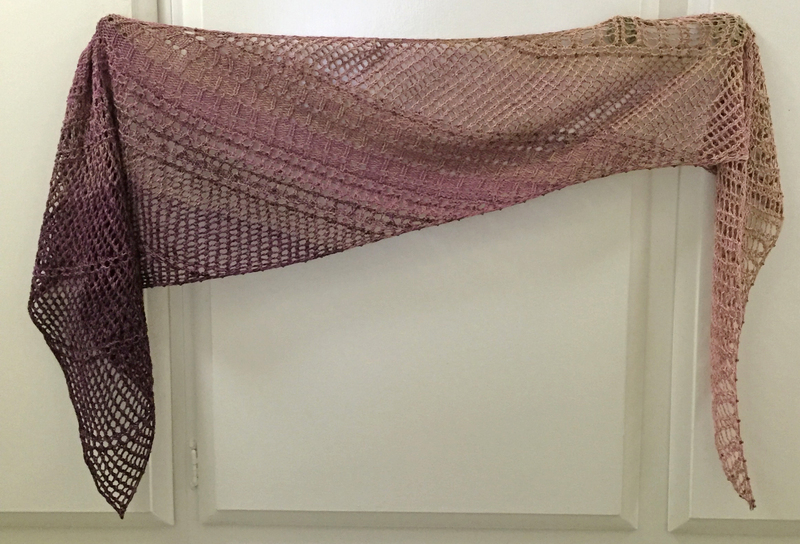 Another Mindy Ross shawl done. I just love her patterns. 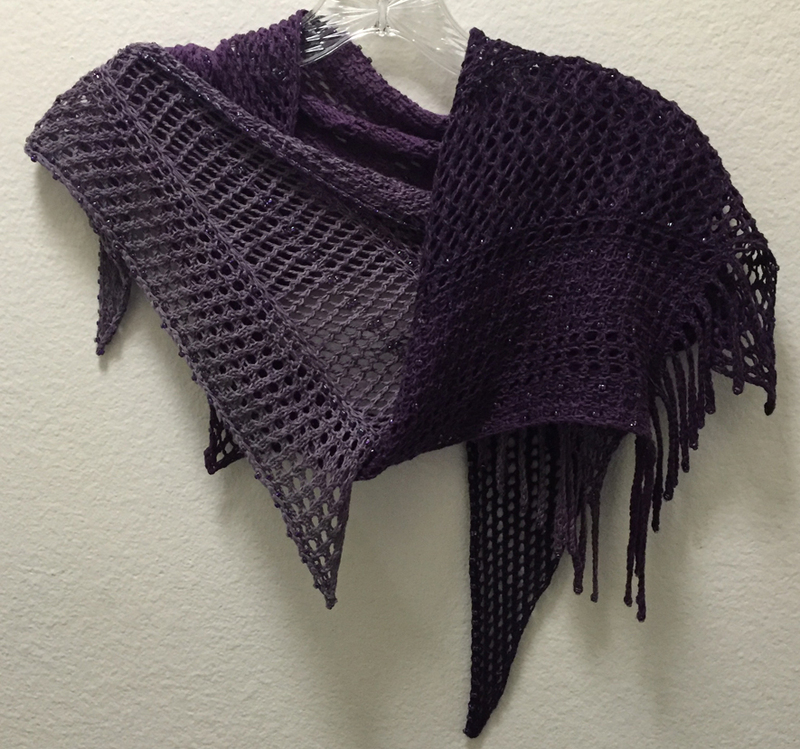 This one is made out of Wollelfe-Twin merino wool yarn. 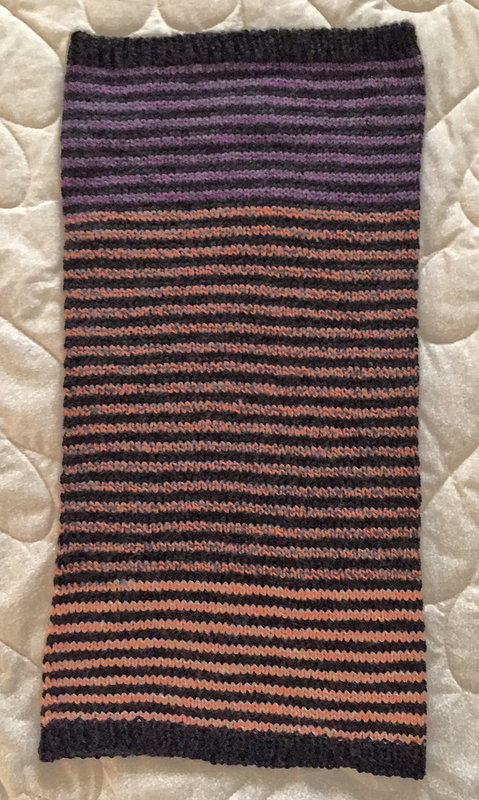 This is the second Reverse Psychology (by Mindy Ross) scarf I’ve made. I think I’m going to keep this one for myself. I love gray and pink. 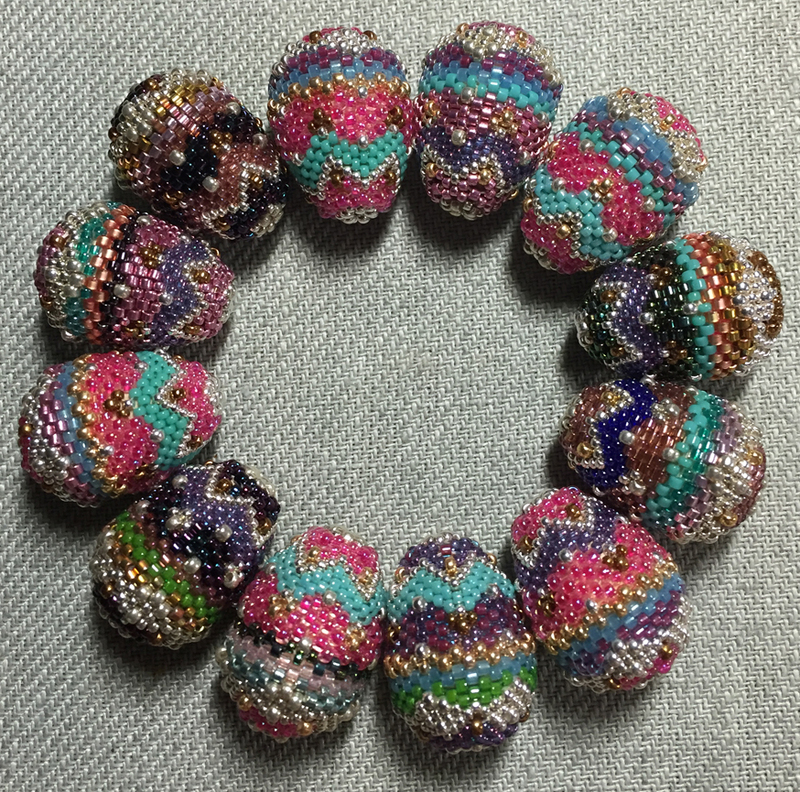 Used pink triangle beads in the scarf. Gosh, I haven’t added anything for a while. 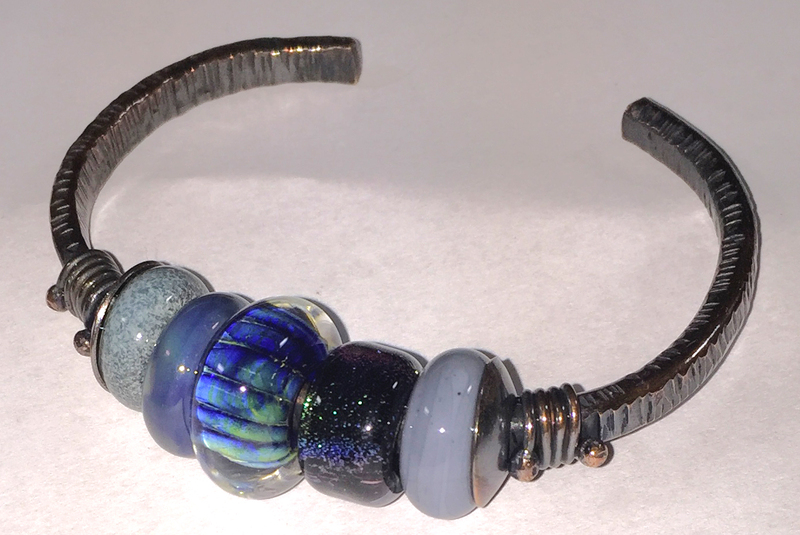 I haven’t been out making beads for a couple of months due to hurting my back. Still been making things, just not beads. 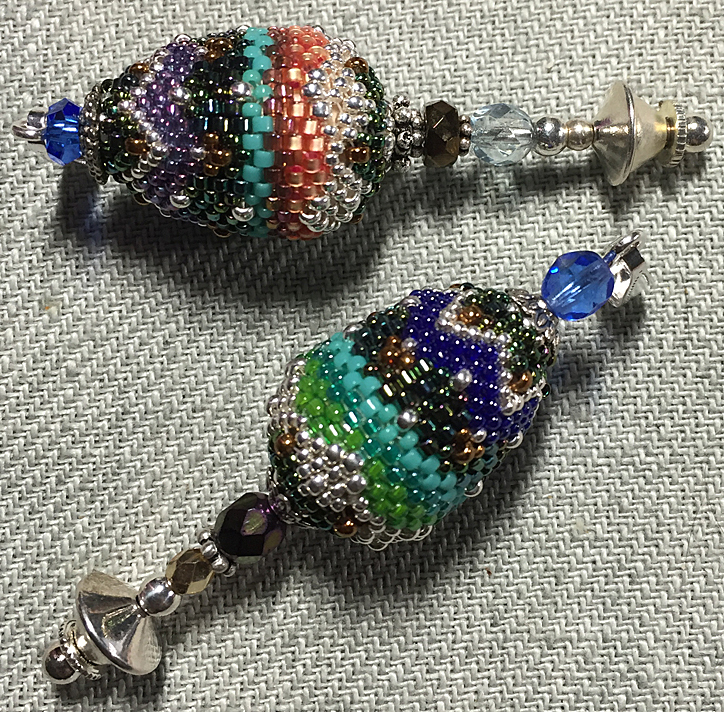 Beaded a bunch of eggs and made them into pendants. These were have a wooden egg shaped core. Made a crochet barrel bag to hold my knitting projects. This bag too FOREVER to make. 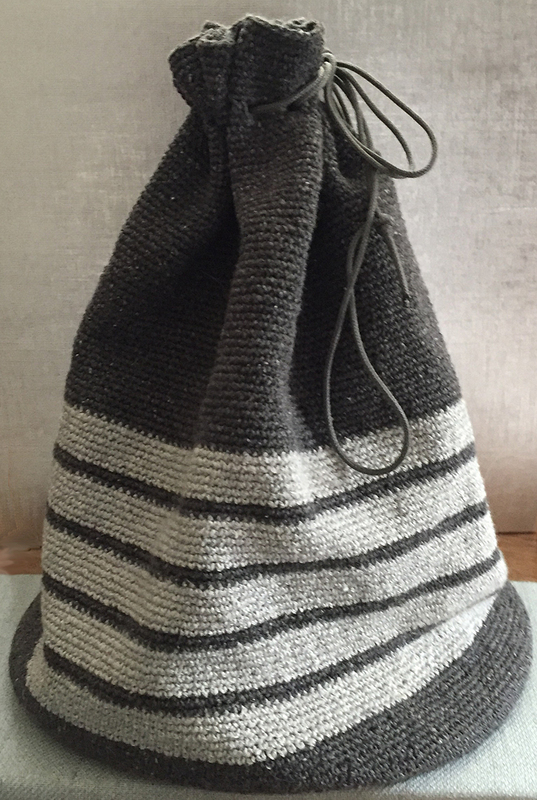 I wanted the bag to be sturdy and crochet tightly. 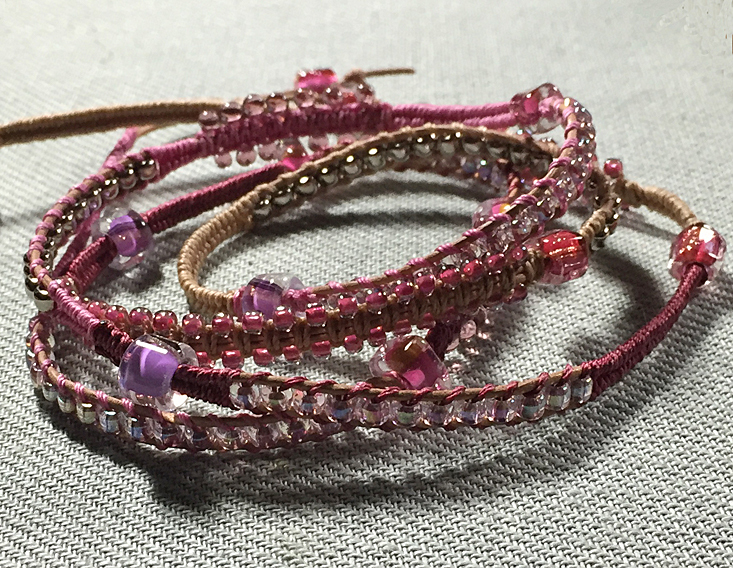 Made with Shibui Twig yarn. 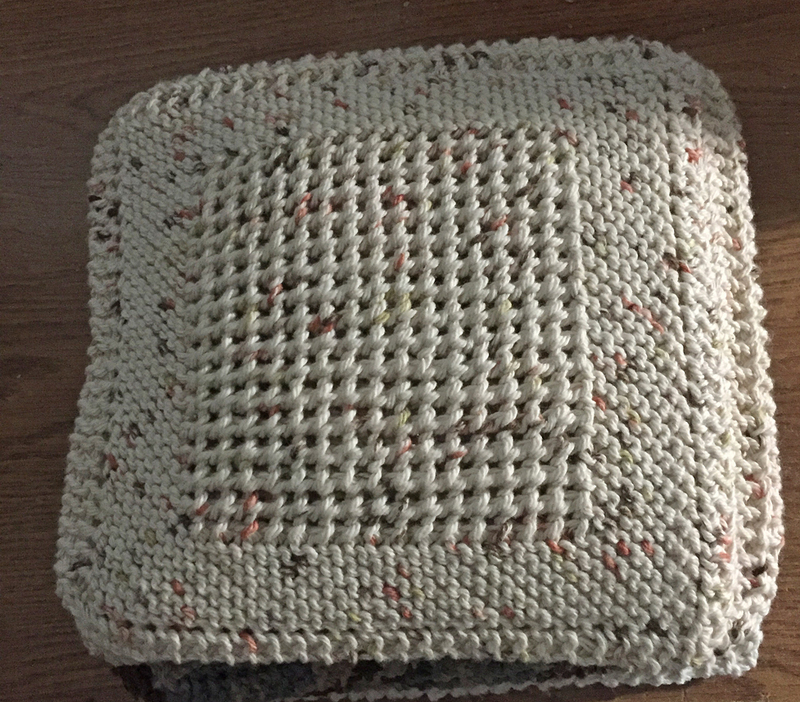 Knitted some dish cloths for Christmas presents. These are made out of 100% cotton yarn. 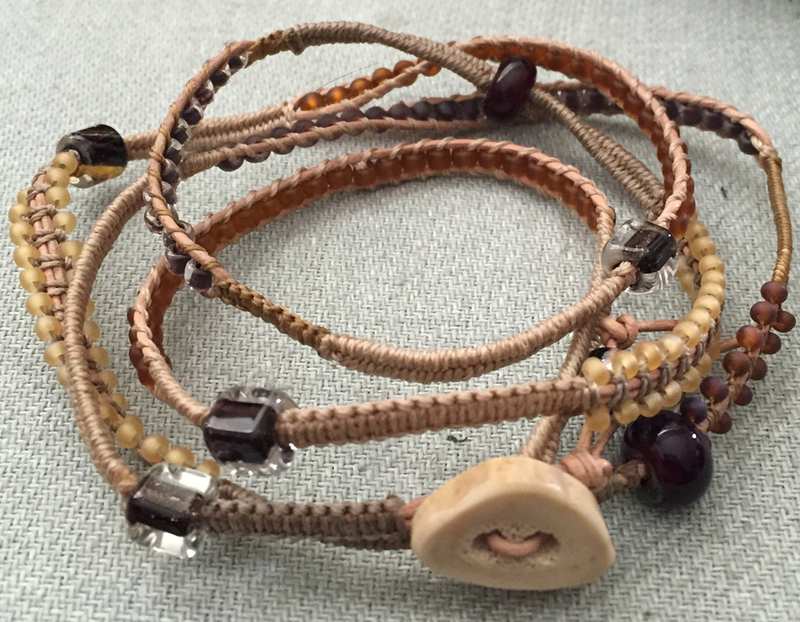 Made a few leather, string and beaded bracelets. 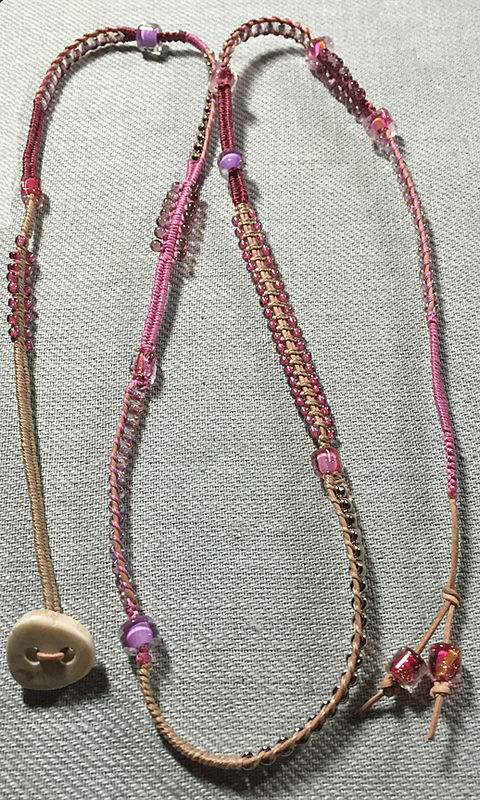 Uses some deer antler buttons for the clasps. 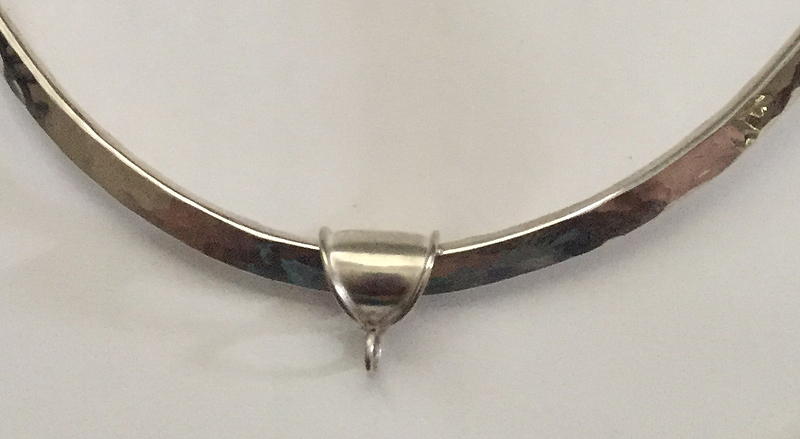 Took Fred Zweig’s class on forged collars. 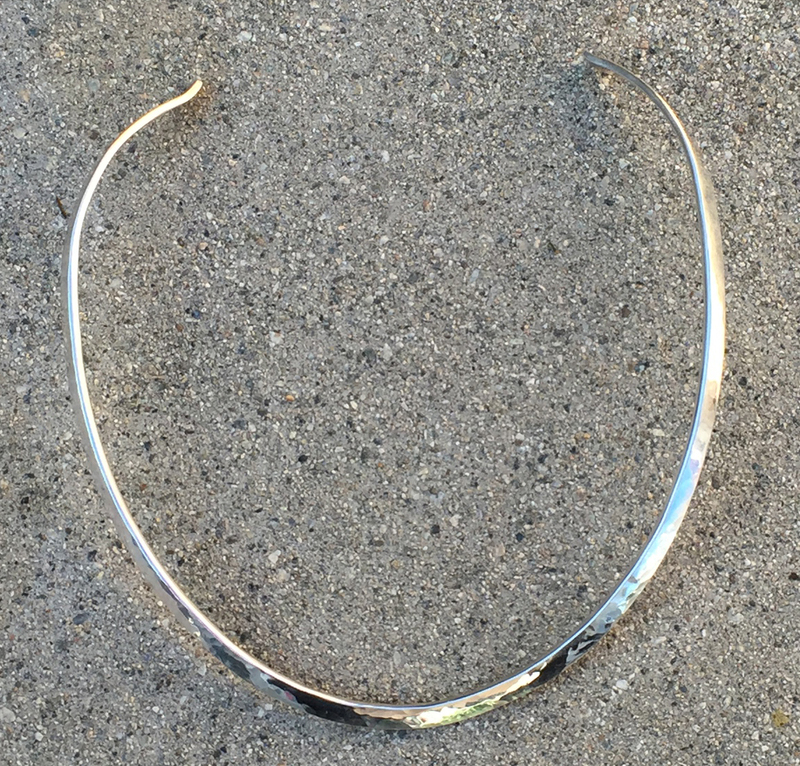 Was able to make a couple collars and a bail. Really fun class. Fred has so much knowledge and is willing to share everything he knows.